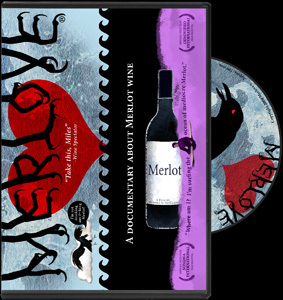 Thank you very much to all who attended the Merlove Premiere Friday night at Copia. It was a great time of Merlovers coming together to share their enthusiasm for such a wonderful wine as Merlot. The Merlove team wants to especially thank all the wineries & people who donated wine and/or came to pour. This folks include Markham Vineyards, Kelham Vineyards, Steltzner Vineyards, Darioush Winery, Swanson Vineyards, & Provenance Vineyards. Much obliged to you all. We are eagerly awaiting every one’s feedback via snail mail or email. You can only make for a better film. We are most definitely going to tighten the movie up a bit. We really want to hone in on the key messages, so they come across easily and focused. We will also be adding more pieces of animation throughout the documentary. FYI = There will be another showing of Merlove at Copia, Friday September 5, 2008 at 8pm. This should be the final cut! We are told by Copia staff that tickets are already starting to sell. Don’t forget to get yours before we have another sold out show. We would Merlove to see everyone there. Hope to hear from you soon & see you all in September.